As Iraq’s security conditions have improved, international donors have turned their attention to other troubled parts of the world, leaving many IDP camps in the country on the brink of closure. Thanks to the continued support of Crescent Petroleum and Dana Gas, however, AMAR has continued to deliver much needed healthcare and support to Khanke camp’s 16,000 residents. Nearly 2m Iraqis remain displaced within Iraq, a vast proportion of them still in camps for internally displaced people (IDPs). From victims of conflict who have lost homes and livelihoods to families too afraid to return to their homes after the violence of recent years, IDPs remain among the most vulnerable population in the country. After the trauma of violence and displacement, families in the camps continue to rely on the safe, supportive and nurturing environment in the camp to start rebuilding their lives. But with charitable funding drying up, many camp facilities, especially healthcare centres, are facing imminent closure. Dana Gas and Crescent Petroleum, which have contributed considerably to causes within Iraq, remain committed to AMAR’s services in Khanke, delivering vital health and wellbeing services to the thousands of residents at the camp. Crescent, one of the Middle East’s oldest and largest upstream oil companies, and Dana, one of the largest private-sector natural gas companies in the region, are committed to helping AMAR deliver vaccinations, antenatal care and child health monitoring at the camp. A key part of the health programme at the camp are the Woman Health Volunteers (WHVs), who are the front line to identifying health and wellbeing issues among the residents and are trained to deliver healthcare when needed. Between April and June of this year, the WHVs made thousands of home visits to families at the camp, providing basic healthcare services and delivering health advice, in addition to providing mental health outreach. In all, the WHVs offered support and services to more than 15,000 people during the Spring period. One AMAR WHV, Thikra, for example, recently paid a visit to the Jamila family in the camp. One of the family’s sons had been showing distressing changes in behaviour, including fatigue, excessive sleep and weight gain. Thikra identified the signs of depression in the boy and confided in Mrs. Jamila to openly discuss her son’s symptoms. She then advised the mother to seek a medical assessment for the boy’s condition and set the family on the path to recovery. Thikra’s work is funded by Dana and Crescent, and is emblematic of the kind of support the companies are funding and promoting in the community. A healthcare consultation in an AMAR clinic. The companies also provide funds for vocational training programmes in the camps, including sewing and design, IT, and English lessons, providing residents with the opportunity to develop skills that can boost their chances of finding employment or to set up microbusinesses of their own. Crescent Petroleum and Dana Gas are among the largest private foreign investors in Kurdistan. Their focus is on developing the region’s natural resources in a sustainable way to deliver lasting benefits to local communities. 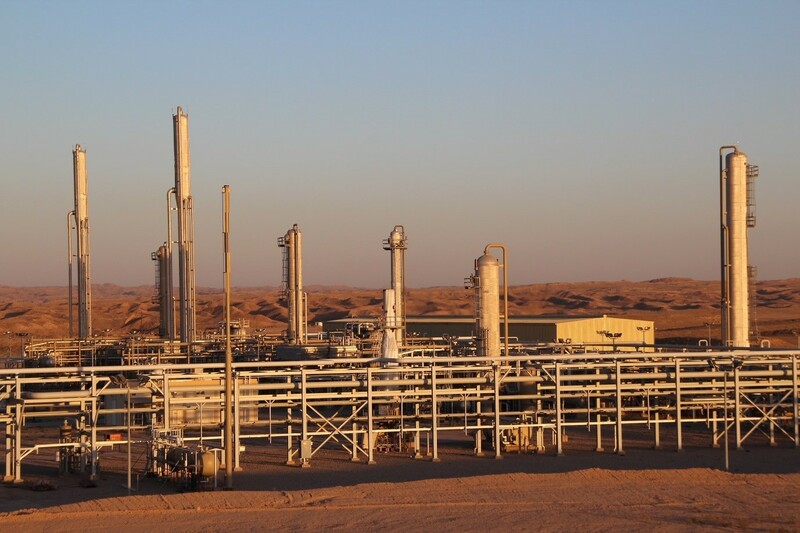 Their US$1.1bn development of the Khor Mor gasfield provides the natural gas to power electricity plants in Erbil and Chamchamal, delivering 1,700 MW of electricity to over 4m people living in the region. LPG Plant in Khor Mor. Other projects Dana and Crescent have funded in Kurdistan include renovating and supplying schools, funding hospitals and providing potable water to villages.